Balancing work life issues while caring for an elder is no small task. Have you done it lately? If you haven’t, statistics are in your favor that you will sooner than you hope to. Yes, we’re living longer and the longer we live the more dependent we become. Growing old is not just about getting older, as I’ve learned over the past 5 years. Growing old is about our bodies pulling the cord, our minds going on permanent vacation, and our health going south. You know what that means, right? If you don’t, then you’re not a caregiver for an aging senior. Here is a caregiving story I’d like to share with you: “I cannot count the times on my two hands, because there were too many, sitting in the hospital with mom in a wheelchair, waiting for a 6 inch needle to push through her back piercing the lungs to drain fluid. It collected weekly because she lived with congested heart failure. The worse part was watching her cry. Asking her ‘what’s wrong’ made me feel beyond inadequate. What in the world must she have thought? “Is my daughter blind, or totally dumb? I couldn’t have raised her to be this ignorant.” Those words surely rolled in her mind after hearing a question like that! Nevertheless, we do our best to make their lives easier and no matter what we do, it never feels it’s enough. For those of you who haven’t driven your mom, dad, aunt, grandparent, elder neighbor, or uncle to a hospital at 3 AM, or the clinic 3 times a week, or carried them to the car en route to the hospital because she cannot breathe and too weak to walk; prepare yourself because the opportunity will soon knock on the door. And for those of you holding your head remembering those nights and the nerve wrecking drives to the hospital; acknowledge yourself and accept that you’re doing the best you can! We aren’t trained to do any better”. Caregivers struggle with that uncertainty each waking moment. Take it from me; give yourself a pat on the back. US businesses have lost between $17.4 billion and $34 billion in retention, absenteeism and productivity due to elder care and the number is skyrocketing. 62% of caregivers are employed full-time or part-time. 44% of Americans between the ages of 45 and 55 have aging parents or in-laws as well as children under 21. And according to USA Today, by 2010 54% of the boomers will be 65! Hang in there! 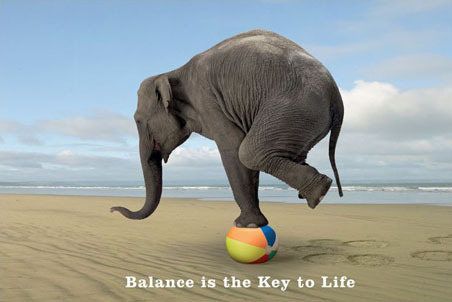 It won’t become easier but if you learn balance, it’ll save your health maybe even your life! Be good to yourself. You work hard on the job. Now find ways to laugh and kick up your heels! Planning– Think ahead about the most important things you have to accomplish. What can you let go of doing or at least delay? Can you delegate one or two? Organize things to do taking careful notes so that you remember the ones being delayed! If you’re close to my age, this can easily drop off your radar. Build a support group at work; it’s easier here because there’s no time after work. I know this can be tricky because most employers (yet) haven’t recognized this to be a need or a problem. We are trying our best to remedy this dilemma. Design a support group to help by taking turns running errands – you drive to pick up medication for your mom, ask a colleague if you can pick one up for them too! This is a great way to save energy. Folks, it’s like car-pooling! Flexibility– Be willing to make changes as needed to respond to the needs of your job, immediate family, and your older relative. Remember not all tasks are your responsibility. Hold family meetings and share tasks, delegate things to do and schedule activities. Get organized, it’s a time saver. Self care – Find time for yourself and take care of you. Learn to delegate responsibilities; know that stressdiminishes your mental and physical health and work productivity will suffer. Is it time to carve out time for that massage, funny movie, golf game, and lunch with a friend, or just time for you! Help is available. Call your local Area Agency on Aging and ask for free Family Caregiver education classes, respite funds, workplace seminars, support groups and other help for you and for your relative.